Check out the property categories below to find your next Waikoloa vacation rental in Hawaii! Located on the Big Island in the chain, our Waikoloa Beach vacation rentals offer great opportunities for adventure, exploring, and relaxation. Enjoy great scenic views, private pools, golf amenities, while staying comfortably in these beautifully cared for condos and homes. Guests often take advantage of nearby hiking trails to beautiful waterfalls or visit the many nearby museum and ocean attractions. Whether you are looking to get outdoors, see the countryside, or spend the days on the beach, we offer a wide variety of rentals with great features located near many fun and exciting things to do in the area. We are pleased to offer a large selection of vacation rentals with membership to the Hilton Waikoloa resort. Book any one of our participating vacation rentals and receive a pass to the Hilton Waikoloa for up to 6 registered guests. Unlike a normal Hilton Waikoloa day pass, these pool passes can be used every day of your vacation! These passes cannot be sold or purchased, they are included in your stay at participating ResorticHawaii.com vacation rental properties. Our program allows you to enjoy the comforts of a vacation rental with luxury resort amenities at the Hilton Waikoloa. Use of the Hilton Waikoloa Pass is valid from 4:00 pm on your arrival date and 11:00 am on your departure date. The pass and instructional letter will be in your vacation rental upon arrival Free Self-Parking for one vehicle at the Hilton Waikoloa Hotel Access to all pools, waterslides and hot tubs at the premises of the Hilton Waikoloa Hotel (not valid for other Hilton properties) Includes pool towel service No blackout dates or restricted use Fitness Center use for $10.00 per day, per person (regular rate is $25.00) Fitness Center and Locker Room for $20.00 per day, per person Maximum 6 persons per pass (regardless of age). We do not have the ability to add additional persons to the pass. Users must be registered guests of ResorticaHawaii.com. If the pass is lost, there is a $250.00 replacement fee The Hilton Pool Pass is available with the following participating properties for 2019. View our full collection of Waikoloa rentals, including Big Island condo rentals in Mauna Lani, Mauna Kea, and Waikoloa Beach Resort. Our full-service vacation rental company will provide you with the perfect Big Island Hawaii lodging for a stellar vacation, which includes a starter package of supplies for your rental. This includes cookware, dishes, drinkware, utensils, coffee maker, blender, washer and dryer, hairdryer, linens, AC, wireless service and basic cable TV. Most units also include a variety of beach gear (think chairs, towels, umbrellas, and water sports toys!) We also have many properties that offer pool and golf specials. The Kohala Coast on the Big Island of Hawaii offers a variety of fun activities and attractions. If you are hoping to hit the links, this area has many phenomenal golf courses. Waikoloa Beach has two championship courses that will please any avid golfer. If the beach is all you crave, we have some of the best! Our resorts give you access to quiet, unspoiled beaches. More of a resort person? We offer a large selection of vacation rentals with access to the Hilton Waikoloa Village Resort pools! Fabulous shops, gourmet dining and a plethora of natural attractions will provide plenty to do for everyone in your group. Browse through our many Waikoloa vacation rentals, book online or contact us via email or phone. We are here to help you plan a memorable vacation. Sweeping panoramic views of Hawaiis mountains and the ocean will greet you every morning from this beautiful and quiet vacation rental home. Learn more about this perfect getaway and book your trip today! 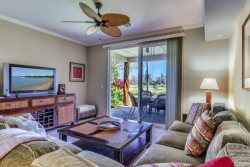 If you love beautiful views of the ocean, easy access to world-class beaches, fantastic golfing, and much more, then staying in of our vacation rentals in Mauna Kea is a great option. Book your next trip to Hawaii in one of our wonderful Waikoloa Beach Resort rentals and let our staff take care of the rest! On the Big Island of Hawaii, the Mauna Lani resort condos are one of the premier luxury destinations in the area. Guests have access to the resort clubs pools, hot tubs, tennis courts and much more, including close access to the beach. These top-notch villas boast all of the amenities of home with high-end finishes, and gorgeous lanais so you can soak up the outdoor beauty. The resort community of Mauna Lani is ideally located close to Shops at Mauna Lani and the Fairmont Orchid. Enjoy some of the best dining and shopping in the area. With beach locations nearby, guests will love all of the extra beach supplies in each unit. All of the Mauna Lani condos listed below are fantastic options for families and small groups. Browse each villa individually, use our search feature on the left to narrow your results by date and location, or call us directly and we will help you find the perfect rental for your Hawaiian getaway. Plus, take advantage of our Kohala Coast vacation rental Concierge Services and let us help you plan all the details! Located in the foothills above the Kohala Coast lies the charming Waikoloa Village. Guests of the Waikoloa Village villas will enjoy serenity and privacy surrounded by pristine landscaped grounds, with a pool, hot tub, golf course and much more. The Waikoloa Beach Resort is just 7 miles away and offers two outdoor shopping centers and many other amenities. Hapuna Beach, Anaehoomalu Beach, and Kaunaoa Bay are all nearby, offering a variety of beachside recreational opportunities. Our Waikoloa Village properties are shown below. We offer a starter supply of all basic items you will need for your vacation, including items for the kitchen and toiletries for the bathrooms. And as always, our Concierge services can provide you with anything else you desire for your vacation. Reserve your Waikoloa vacation rental today, and get the best rate when you book direct with ResorticaHawaii. Contact us directly with any questions. Book the ultimate Hawaiian vacation with Waikoloa Golf packages offered by Resortica Hawaii! Spend a day on the course, taking in the spectacular views then relax in one of our beautiful vacation rentals. The Golf Membership Program extends Member Benefits to the guests of the unit rented. Call our office for additional details. Offering a variety of accommodations Waikoloa Beach Resort this luxury resort is family-friendly surrounded by many activities and golf courses. With available meeting space, this property is great for groups and for romantic getaways. No matter what you are looking for we are sure to have it contact us today for additional assistance finding the perfect Hawaii vacation rental.